The Samsung Galaxy S9 was undoubtedly a great phone, but thanks to its iterative design and relatively niche new features like a variable aperture camera and AR emoji, it lacked a bit of excitement. 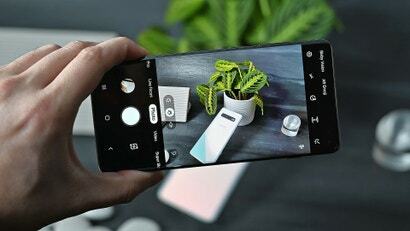 With the Galaxy S10, Samsung demonstrates its hardware superiority, because in addition to being the first phone to have the new Snapdragon 855 chipset, the S10 packs some genuinely hard-to-find mobile tech such as reverse wireless charging, Wi-Fi 6, and of course, a whole new take on the notched selfie cam. 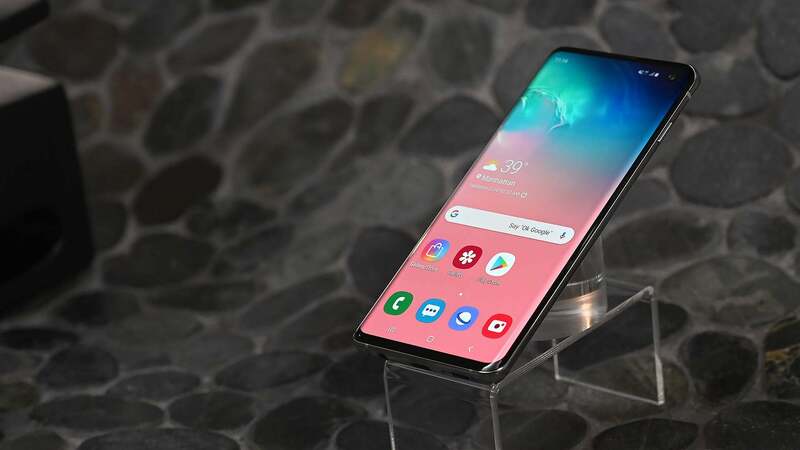 Before we talk about new features though, it’s important to note that for 2019, Samsung has expanded that Galaxy S10 line to four models instead of just two: There’s the standard 6.1-inch Galaxy S10 and the larger 6.4-inch Galaxy S10+, along with a more affordable option in the 5.8-inch Galaxy S10E and the aggressively techy 6.7-inch Galaxy S10 5G. Starting at $1,199, the 5.8 -inch Galaxy 10E could be a revelation for all the people out there who’ve been wishing Samsung would make something with a “normal” non-curvy screen. More importantly, compared to the $1,349 S10 and $1,499 S10+, the S10E doesn’t actually give up that much ground compared to its more expensive siblings. 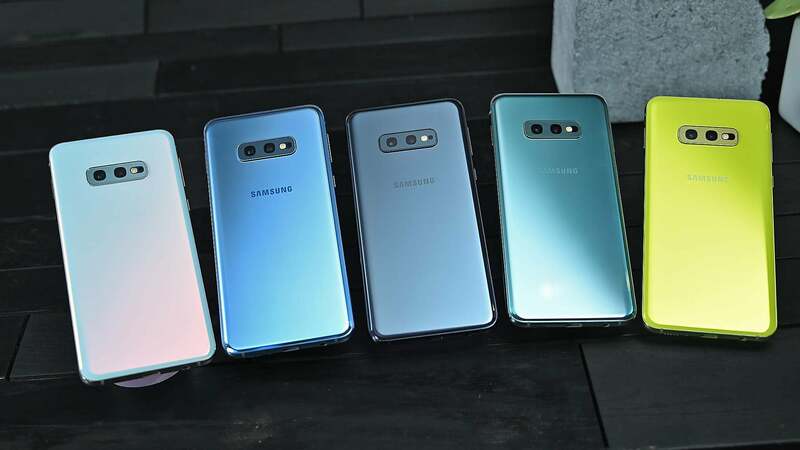 If you look close, you can see how the S10E’s sides aren’t curved like on the S8 and S9. 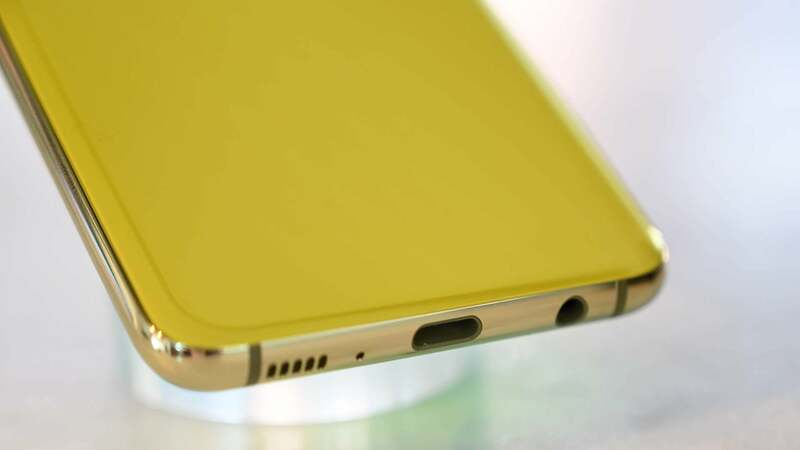 It’s not just on the S10E, all Galaxy S10"s have a headphone jack. 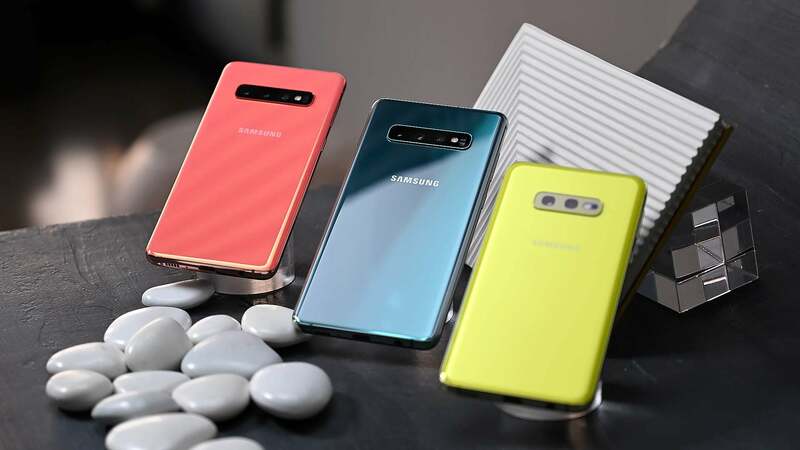 Here are the colour options for the Galaxy S10E, though sadly, the neon yellow model won’t be coming to the U.S.
All versions of the Galaxy S10 come with a Snapdragon 855 chip, headphones jack, and at least 6GB of RAM and 128GB of onboard storage as standard, with the latter being double what got on least year’s Galaxy. 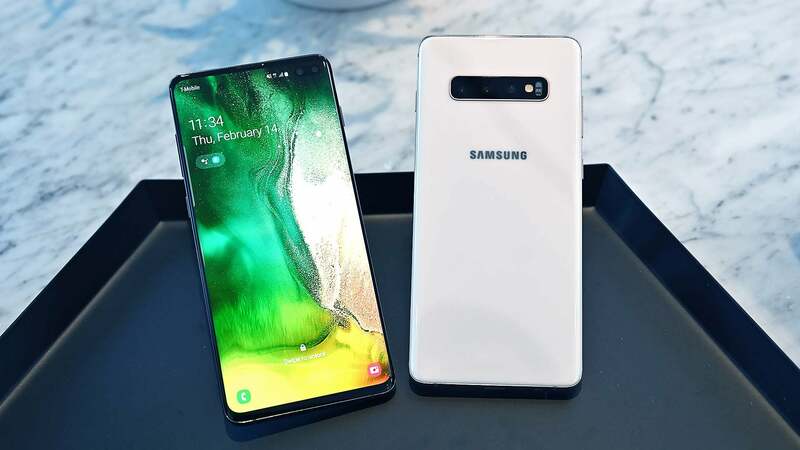 So aside from super heavy multitasking, even the cheapest Galaxy S10 should offer the similar levels of performance. 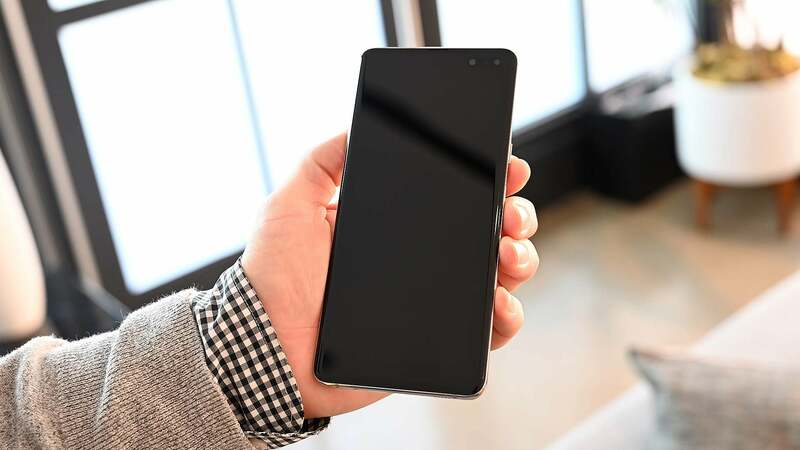 And with a 15cm screen, the S10E could be a good choice for fans of small phones too. 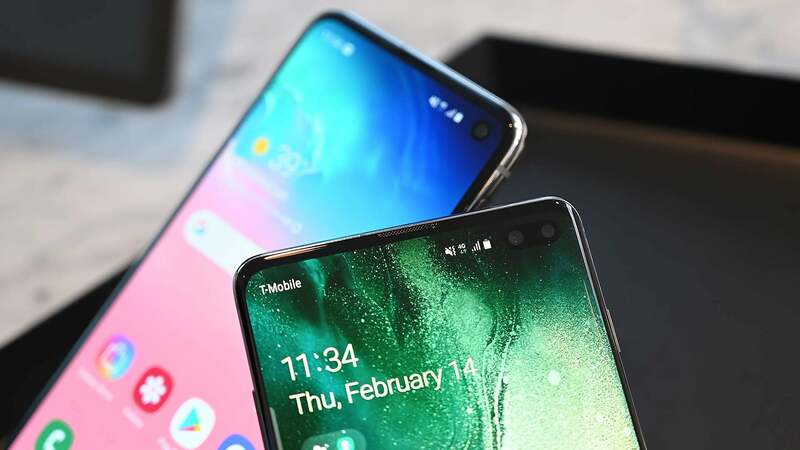 The S10E, S10, and S10+ also come with Samsung’s all-new dynamic AMOLED display which somehow looks even more vibrant and colourful than anything I’ve seen before—no small feat from a company responsible for making the best mobile displays around. Samsung claims the S10's screen is the world’s first HDR10+ certified display, and also has built-in filters that cut down on blue light by 42 per cent without impacting colour quality. And of course, Samsung’s new screen also sports a nifty punch hole for the phone’s selfie cam. In Samsung land, the feature is called an Infinity-O display, and it’s something we’ve seen on a couple phones so far. 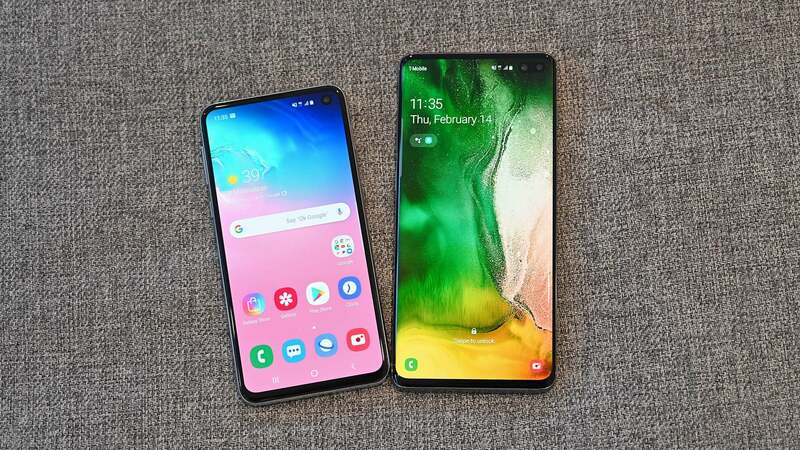 But neither of those handsets will likely see an official U.S. release, which makes the S10 the herald of a new, post-notch era for us here in the United States. Now I admit functionally, a hole-punch cam may not be that much different than a notch. But after playing around with the S10 for just a minutes, it does lend the S10 a totally different feel. Located in the in the top right corner, the Infinity-O hole appears much less obtrusive than a centrally located notch, while the ability to have the camera completely surrounded by display on all sides makes it much easier to ignore during normal use. 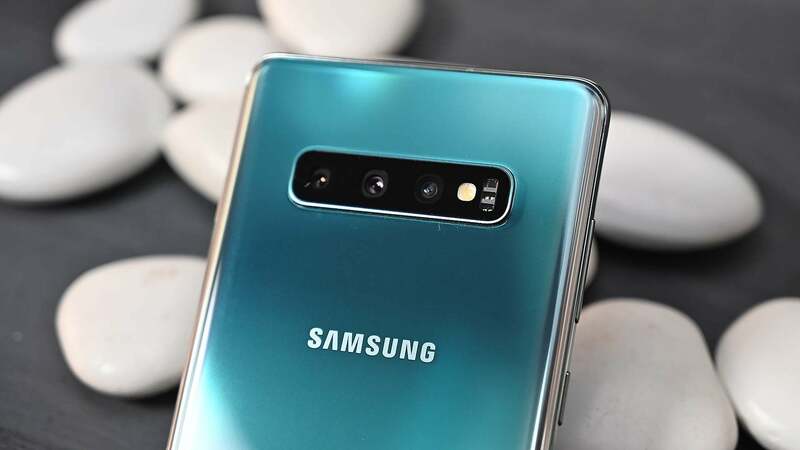 Samsung also has the ability to adjust the size of the hole when needed, so naturally, on the Galaxy S10+, there are dual 10-MP selfie cam instead of just one. Coral is one of the S10"s new signature colours, and was created in partnership with Pantone. But I think the pearlescent white S10 is the more striking colour option. 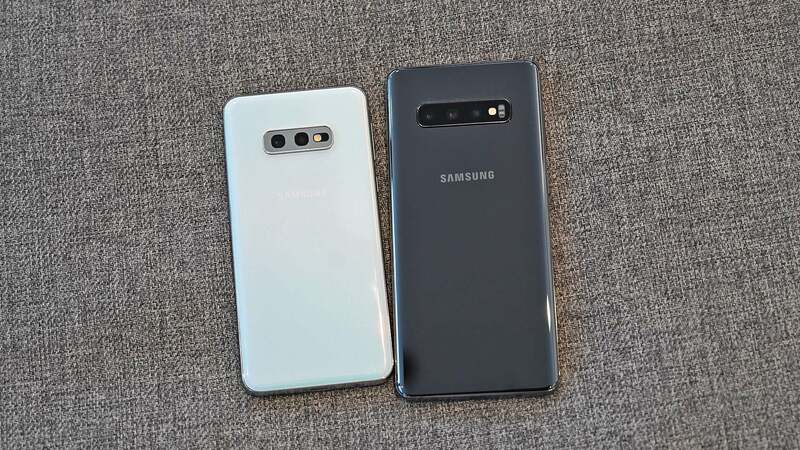 Meanwhile, the Galaxy S10+ will come in two special versions featuring either a white or black ceramic back. And here’s the S10+ in ceramic black. I think the Infinity-O camera is pretty subtle, as far as front-facing camera tricks go. 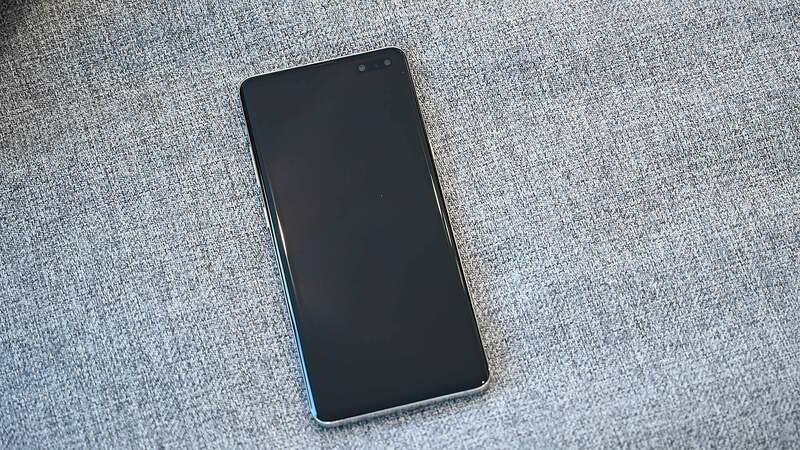 The S10"s overall design is still quite similar to last year’s phone. The usable area for the in-screen fingerprint sensor is largely restricted to where the icon sits on the screen. 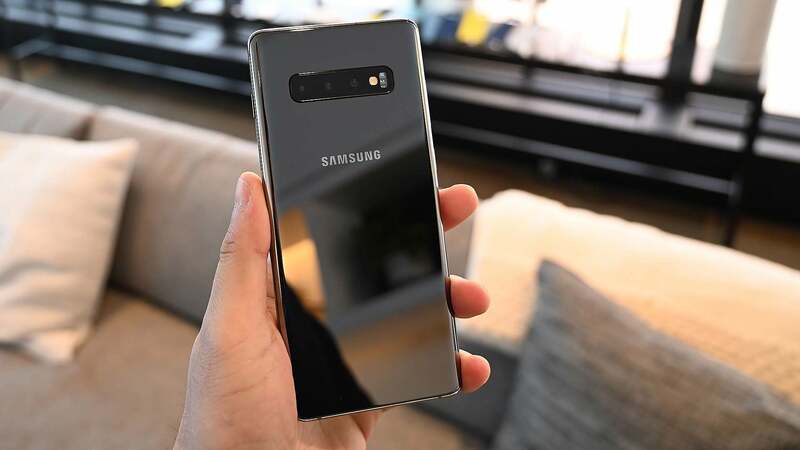 No surprise, but the S10 still has a Bixby Button. The pearlescent white S10 changes colour depending on the light. 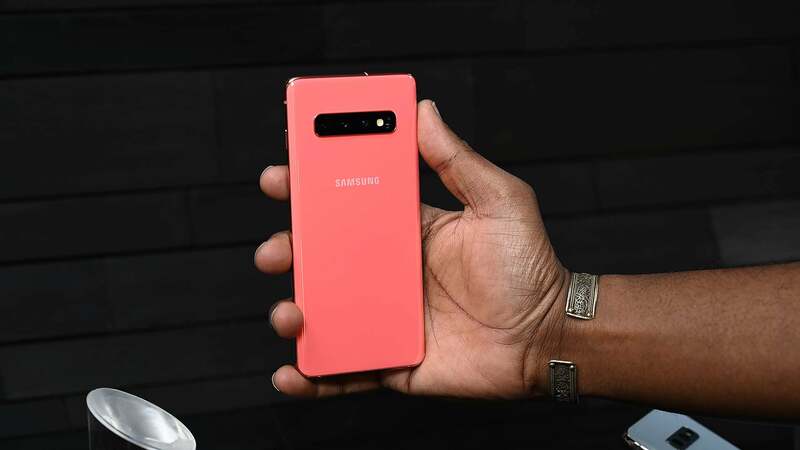 One of the few differences between the S10 and S10+ is the the S10+ gets a second selfie camera. The only button on the right side of the phone is the typical power/lock button. 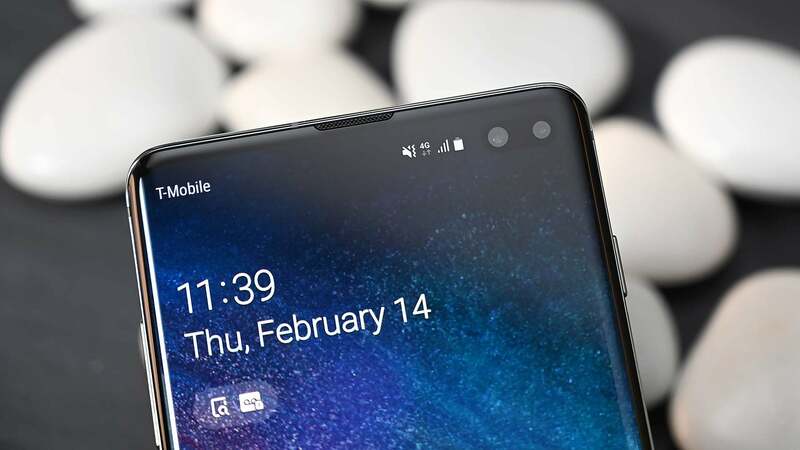 However, the new hole-punch cam isn’t the only new feature on the front of the Galaxy S10, as Samsung has finally brought back the front-mounted fingerprint sensor too. Only this time, Samsung has opted for a 3D ultrasonic scanner hidden beneath the display to prevent wasting precious screen real estate. 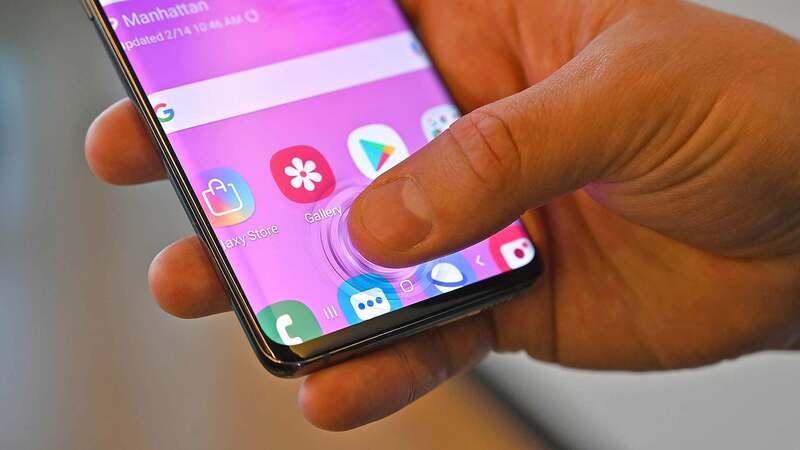 Samsung says the S10's ultrasonic fingerprint scanner is the first of its kind to feature full FIDO-certification, which allows it to be used in tandem with online payment systems like Samsung Pay, Google Pay, and others. And to prevent hacking or spoofing, Samsung claims the sensor’s machine learning algorithms can be updated via security patches down the line. The consequence of this is that the iris scanner found on previous Galaxy phones became somewhat redundant, so Samsung removed it. You’ll still be able to unlock your phone with your face if you choose, but it won’t have the same level of security as before. 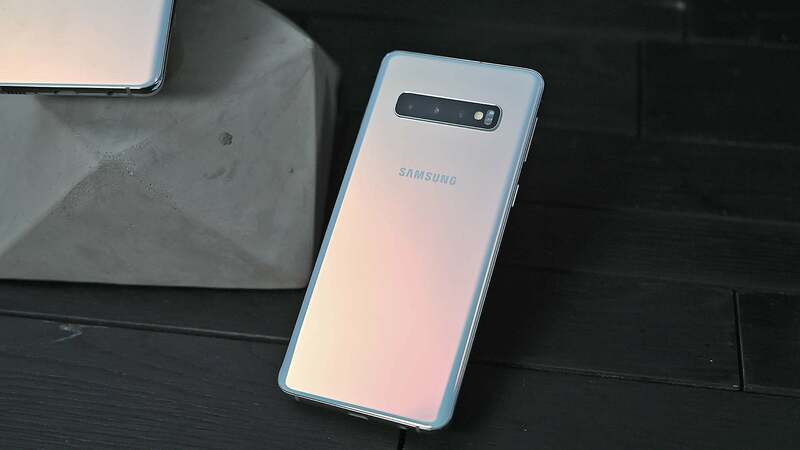 That means the fingerprint scanner is now the S10's primary method of biometric security. 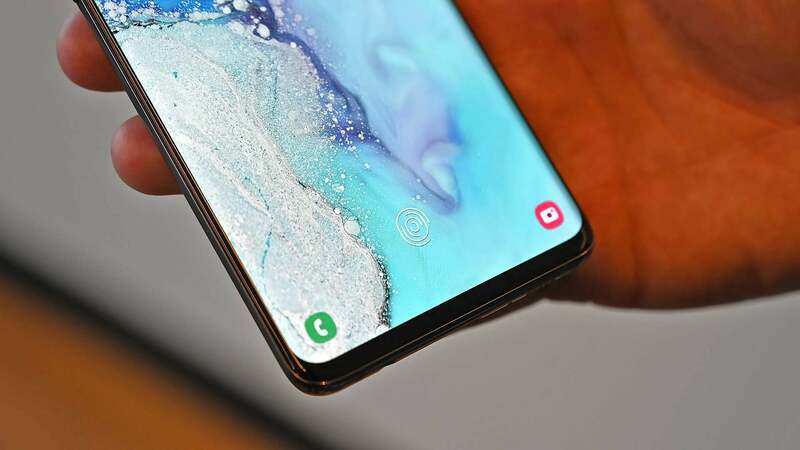 Meanwhile, for the S10E—which doesn’t have an in-screen fingerprint reader—Samsung opted to add a traditional fingerprint sensor to the side of the phone instead. 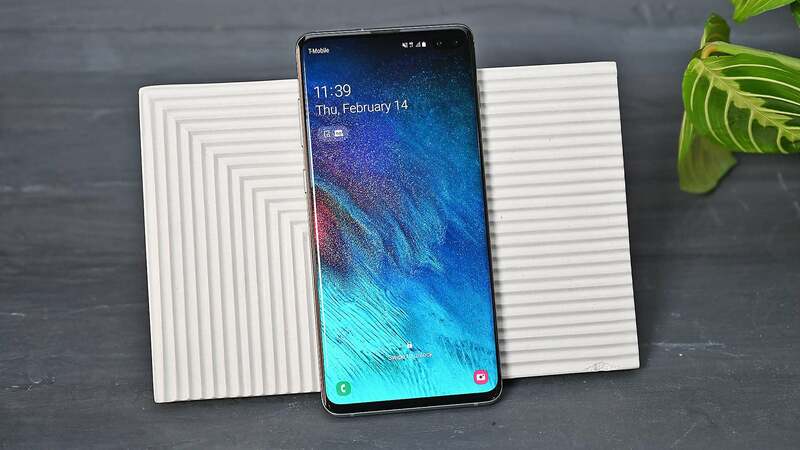 Buried in the guts of the phone along with its new Snapdragon 855 processor, Samsung has added a few new hardware and software tricks as well. For video, Samsung offers a new image stabilisation feature to ensure clips appear shake-free, while also giving the front-cam the ability to record in 4K UHD, just like you can when using the rear cameras. Samsung also added 10 more recognisable subjects to the S10's scene optimizer, so now the phone can detect the difference between dogs and cats, and pick out things like babies, shoes, vehicles, and more. Samsung also gave the S10 support 802.11ax and Wi-Fi 6, so when those technologies become more widely available, the Galaxy S10 will already be prepared. But personally, what I’m most excited about is the addition of bigger batteries and enhanced adaptive power control to the full S10 line. 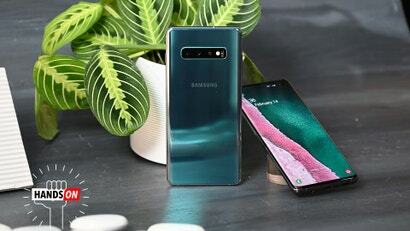 While sporting the same size screen as the standard Galaxy S9, the S10E gets a slightly larger 3,100 mAh battery (versus 3,000 for the S9). From there, the standard S10 has moved up to 3,400 mAh , with the S10+ receiving a massive 4,100 mAh battery. 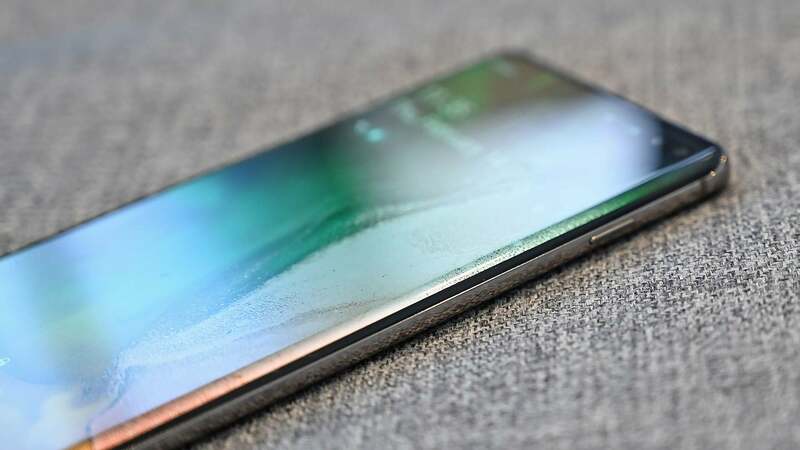 This is important as I believe triple rear cameras will be the new default setup on most flagship phones, and this move puts the Galaxy S10 on the same level as phones like the Huawei Mate 20 Pro and LG V40. 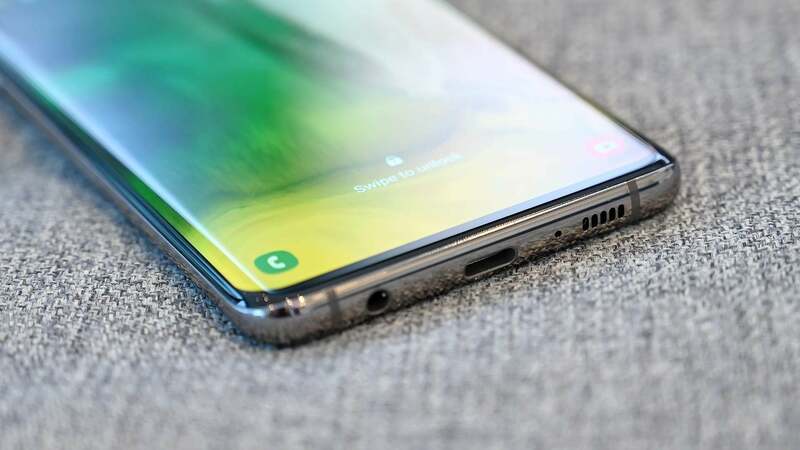 The other major addition to the Galaxy S10's back is reverse wireless charging that takes advantage of the Galaxy S10's ample batteries to lend excess juice to other devices with Qi wireless charging support. Clearly, Samsung is hoping that Galaxy S10 buyers will use it to top of the new Galaxy Buds, which will come free as a pre-order bonus for the S10. 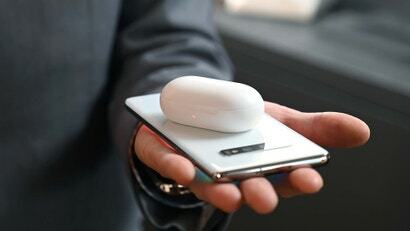 But it should be just as good for helping out a friend recharge their dying device. And with a dedicated icon in the S10's quick settings menu for toggling reverse wireless charging on and off, it could be easier to use. 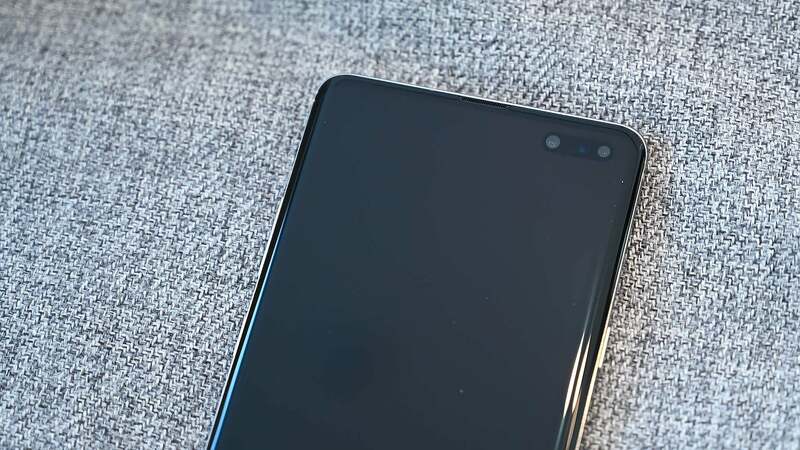 Tap the icon, place another device on the back of the S10, and that’s it. 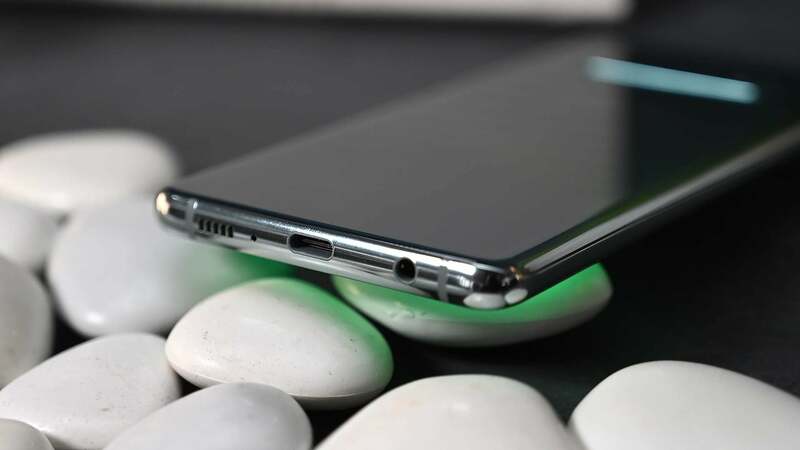 And if that’s not enough, the S10's standard wireless charging has been improved so that now it can recharge the phone just as quickly as when it’s plugged in. 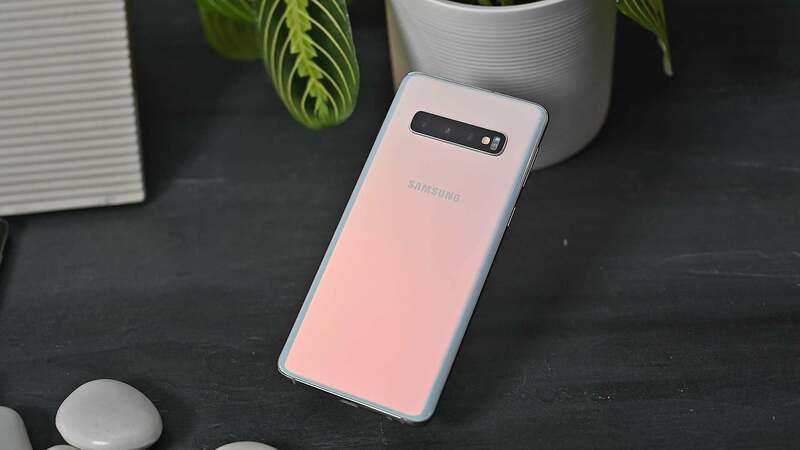 Since it wasn’t quite ready to demo, the 5G S10 is little more than the very pretty brick for now. 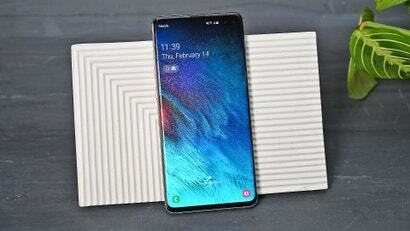 Measuring 18cm across, the 5G S10"s absolutely monstrous. 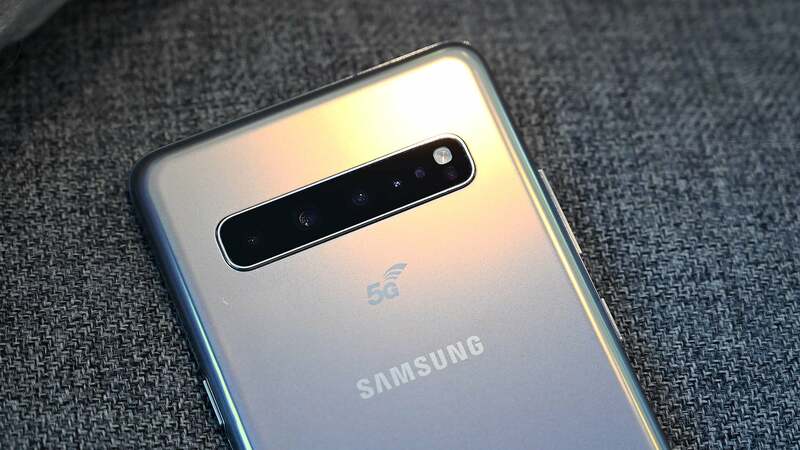 There’s a tiny time-of-flight camera nestled between the 5G S10"s two normal front-facing cameras. There’s also a time-of-flight sensor in back for good measure. 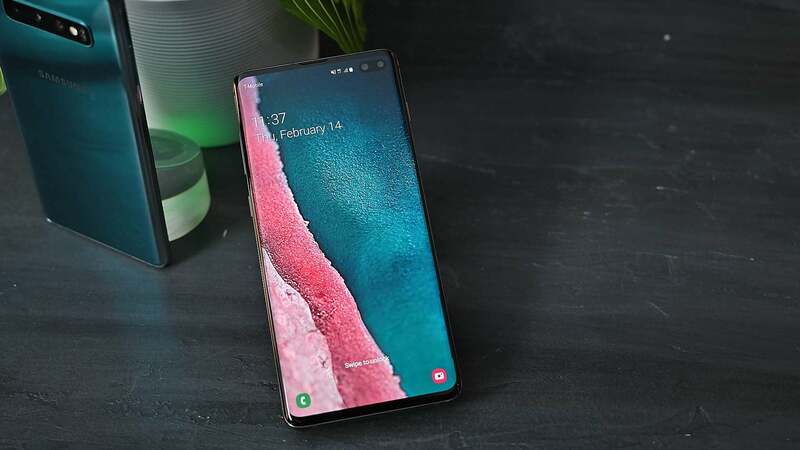 Now of course, when it comes to big Samsung phone launches, there’s always just one more thing to talk about, and this time, it’s a fourth S10 variant in the Galaxy S10 5G. 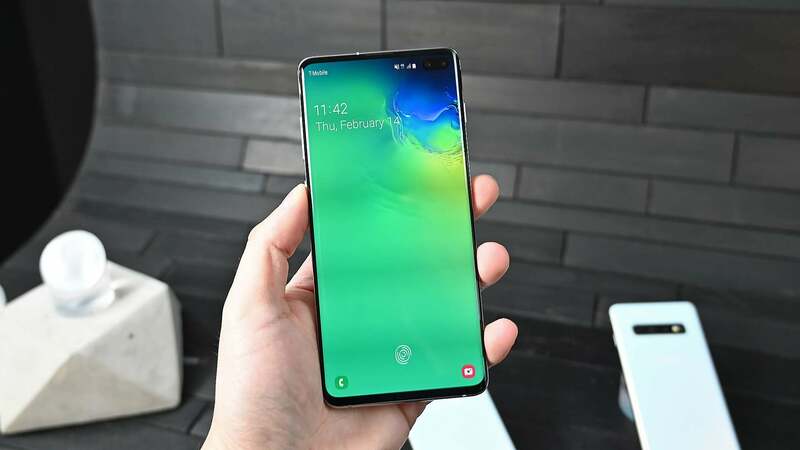 In addition to being one of the first true 5G-ready phones on the market, the S10 5G also sports a positively giant 6.7-inch screen, a 4,500 mAh battery, and a special 3D time-of-flight depth cam on both front and back—all in a body about the same size as a Galaxy Note 9. Unfortunately, when I got a chance to check out the S10 5G, I wasn’t allowed to even turn the thing on. 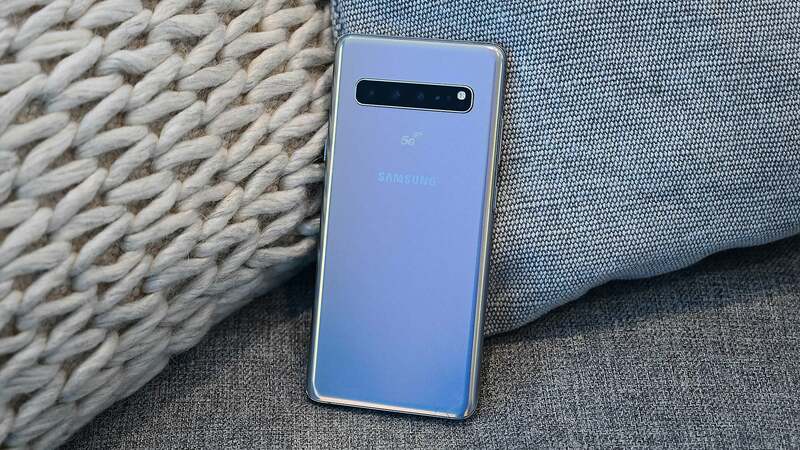 That means any kind of menaingful takeaways will have to wait for another day, which is fine I guess, since 5G network coverage is still incredibly limited, and unlike the rest of the S10 line, the S10 5G won’t be available until later in Q2. 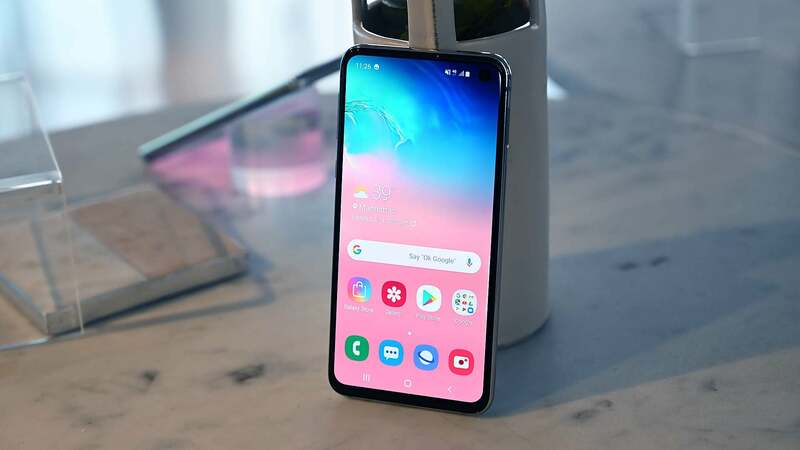 Regardless, even if we’re just talking about the core line up, the S10 feels like Samsung’s way of flexing on its competition with devices featuring faster processors, bigger batteries, and a bunch of new features that you can’t really get anywhere else, especially in the U.S. And if the S10 is going to be the pacesetter for phones this year, things are looking pretty good for anyone planning on upgrading in 2019. The S10 family will be available for pre-order starting a7 09:00 today, with official sales starting March 8th. 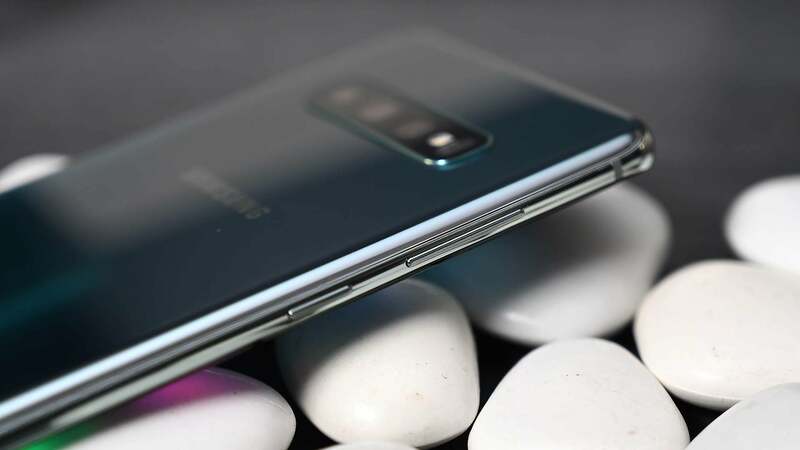 The S10E will start at $US750 $1,199 for 6GB of RAM and 128GB of storage, while the S10 and S10+ will start at $1,349 and $US1,000 $1,499 for 8GB of RAM and 128GB of storage, with 512GB and 1TB storage options available as well.